Chip Foose, internationally known rival of Boyd Coddington and crew, is known as being the sweetest and most talented car guy in the world. From his restorations of old school muscle cars to his retro designs of the newest model cars on the road, Chip Foose has earned respect throughout the automotive community for years, earning the prestigious AMBR (America's Most Beautiful Roadster) Award six times. 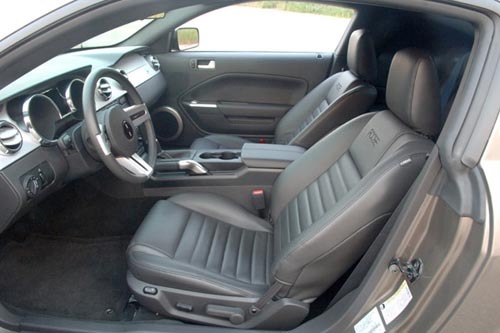 Starting off with his illustrations turned into magic, Foose began dreaming and designing how he could perfect the 2005 Mustang. 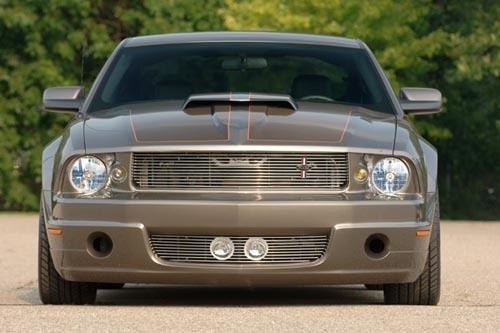 Teaming up with BFGoodrich Tires and the Discovery Channel, Chip Foose was given the resources to make his dream come true. 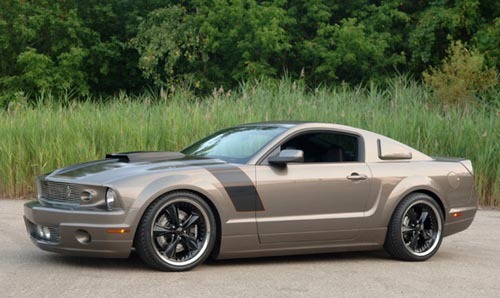 Sitting on 20" custom-designed Foose Wheels, this new Mustang has a "hate it or love it" style. Foose doesnt believe style is just skin deep though. 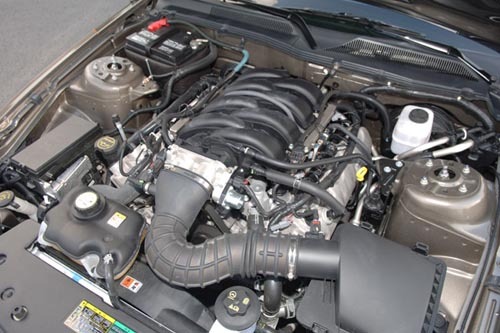 Digging into Ford's 4.6L V8 powerplant, Foose was able to supercharge this bad boy to 462bhp while adding fuel upgrades and frame strengthening. 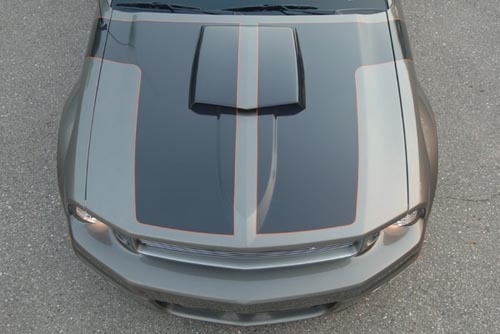 With lowering springs, 6-piston brakes, and a highflow cat back exhaust, this new Foose Mustang has the power to handle with the best of them. Think the styling in this car looks familiar? 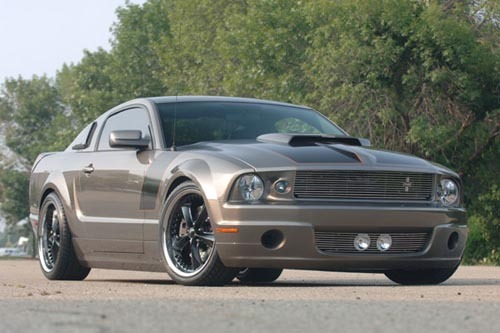 Ever seen the movies Robocop or Gone in 60 Seconds starring Nicholas Cage and the now famous Eleanor Mustang? Well, Mr. Foose designed the cars in these movies as well! Images sourced off of the Interweb.